Saltmarshes provide many valuable ecosystem services including storage of a large amount of ‘blue carbon’ within their soils. To date, up to 50% of the world’s saltmarshes have been lost or severely degraded primarily due to a variety of anthropogenic pressures. Previous efforts have aimed to restore saltmarshes and their ecosystem functions, but the success of these efforts is rarely evaluated. 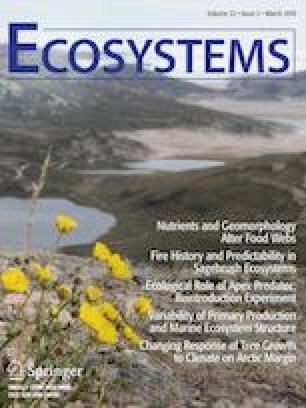 To fill this gap, we used a range of metrics, including organic carbon stocks, root production, soil respiration and microbial communities to compare natural and a 20-year restoration effort in saltmarsh habitats within the Sydney Olympic Park in New South Wales, Australia. We addressed four main questions: (1) Have above- and belowground plant biomass recovered to natural levels? (2) Have organic carbon stocks of soils recovered? (3) Are microbial communities similar between natural and regenerated saltmarshes? and (4) Are microbial communities at both habitats associated to ecosystem characteristics? For both soil organic carbon stocks and belowground biomass, we found no significant differences between natural and regenerated habitats (F(1,14) = 0.47, p = 0.5; F(1,42) = 0.08, p = 0.76). Aboveground biomass was higher in the natural habitat compared to the regenerated habitat (F(1,20) = 27.3, p < 0.0001), which may result from a site-specific effect: protection from erosion offered by a fringing mangrove forest in the natural habitat but not the regenerated habitat. Our microbial community assessment indicated that restored and natural saltmarsh habitats were similar at a phylum level, with the exception of a higher proportion of Proteobacteria in the rhizosphere of saltmarshes from the regenerated habitat (p < 0.01). Abundance of both Desulfuromonas and Geobacter was associated with high carbon and nitrogen densities in soils indicating that these genera may be key for the recovery of ecosystem characteristics in saltmarshes. Our restored and natural saltmarsh soils store at 30 cm depth similar levels of organic carbon: 47.9 Mg OC ha−1 to 64.6 Mg OC ha−1. Conservation of urban saltmarshes could be important for ‘blue carbon’ programmes aimed at mitigating atmospheric carbon dioxide. All authors conceived or designed the study and performed research. NSS, QH, SAH, AZ analysed data. NSS wrote the paper with assistance from all authors. The online version of this article ( https://doi.org/10.1007/s10021-019-00373-x) contains supplementary material, which is available to authorized users. We would like to thank the following people for technical support: Brodie Cutmore, Patricia Gadd, Daniela Fierro, Barbora Gallagher and Jennifer Van Holst from the Australian Nuclear Science and Technology Organisation; Sophie Baxter, Caitlan Baxter, Delphine Coste, Len Martin, Scott Mooney and Crystal Vargas from the University of New South Wales; Brownwen van Jaarsveld and Bryony Horton from the Office of Environment and Heritage, New South Wales; Daniel Piñero from the Instituto de Ecología at the National Autonomous University of Mexico (UNAM) and Edgar J Gonzalez from the Faculty of Science, UNAM. We also thank the editors and two anonymous reviewers as their revisions substantially improved this manuscript. This project was funded by the National Council for Science and Technology (CONACYT, Mexico, Grants 263728 and 277411) and by two research portal grants from the Australian Nuclear Science and Technology Organisation (ANSTO, Australia, Grants 10006 and 11081). We acknowledge the financial support from the Australian Government for the Centre for Accelerator Science at ANSTO through the National Collaborative Research Infrastructure Strategy (NCRIS). This work was performed under a National Parks and Wildlife Act 1974 scientific licence (SL101748). Australian Bureau of Meteorology. 2018. Australian Bureau of Meteorology home page. Commonwealth of Australia: Canberra. http://www.bom.gov.au. Accessed 14 Feb 2018. Oksanen JF, Blanchet G, Friendly M, Kindt R, Legendre P, McGlinn D, Minchin PR, O’Hara RB, Simpson GL, Solymos P, Henry M, Stevens H, Szoecs E, Wagner H. 2018. Vegan: community ecology package. R package version 2.5 – 1. https://CRAN.R-project.org/package=vegan. Accessed 12 June 2018. R Core Team. 2018. R: a language and environment for statistical computing. R Foundation for Statistical Computing, Vienna, Austria. https://www.R-project.org/. Accessed 25 December 2018.